AVDIIVKA, Ukraine -- On the outskirts of this shell-ridden town, a two-man team of Ukrainian special forces soldiers watches the war from their black and green balaclavas. Snipers from Ukraine’s 3rd Spetsnaz Regiment engages targets during a training exercise near the frontline. Nov 7 2015. A Sept. 1 cease-fire has reduced the fighting here to sporadic outbreaks of violence, so for now the special forces soldiers, known as Spetsnaz, only observe, logging every burst of machine gun fire or mortar strike in the distance as Ukrainian troops and Russian-backed separatists attack each other. “Despite what people think, this is still a war,” said one of the Spetsnaz soldiers, identified only as “18,” the numeric designation he uses while talking on his handheld radio. “Eighteen,” his hands resting on a modified Kalashnikov and his eyes tired from a night watching the front line, said that sometimes he spends days in the same location before rotating back to his camp — his stagnant position a byproduct of Ukraine’s now-frozen war. It’s a war that the Spetsnaz have been fighting at a serious disadvantage. Despite the Ukrainian military’s ability to swell its numbers in a relatively short amount of time — more than 200,000 troops mobilized in a year — the country’s special forces remain ill-equipped, undertrained and misused. In many ways they are special forces in name only, relying on their esprit de corps and combat experience from earlier battles to remain effective on the front. The issues facing the Spetsnaz stem from a number of factors: a lack of institutional training and an antiquated command structure that renders units an afterthought on the front lines. According to four Spetsnaz commanders interviewed for this article, Ukrainian special forces have been underutilized since the beginning of the war — a byproduct, they say, of Soviet-era generals who have little knowledge of commanding troops meant for unconventional warfare. In turn, the decision-making process has made fighting the Russian-backed separatists in the east a bureaucratic nightmare. “At one point [in 2014] we had four different commands telling us what to do,” said a lieutenant colonel named Andrei, an operations officer with the 1,000-strong 3rd Spetsnaz Regiment who asked that his last name be withheld because his family lives in occupied territory. With 11 years in the unit and partially Western-trained, Andrei is one of 3rd Regiment’s most experienced officers. At the time, Andrei and the rest of 3rd Regiment — one of Ukraine’s few Spetsnaz units — were spread over 400 kilometers with more than two dozen 12-man groups supporting combat operations along the front line. The Spetsnaz were once billed as among the country’s elite troops, and as the Ukrainian military continues to restructure in the wake of its new conflict, the revival of the Spetsnaz is integral to determining Ukraine’s ability to field a professional force. In a sign of the Spetsnaz’s significance in the war, the U.S. military has pledged to start training at least one special forces regiment in the coming weeks alongside U.S. Army Green Berets. According to Col. Sergii Kryvonos, chief of Ukraine’s special forces directorate, the Spetsnaz’s difficulties began almost as soon as the war started. “We were the only ones that were ready [to go to war],” Kryvonos explained. From the conflict’s outset, special forces units under the Ministry of Defense were sent to buttress the defenses of key infrastructure such as warehouses and airports as the rest of the country’s military was mobilized, according to Kryvonos. While Kryvonos has a direct line to the general staff and is a sharp advocate for the various special forces regiments under his command, his position is limited to advising. [On the front lines in Ukraine, a technological gap] “[Spetsnaz] were used wrong since the beginning. They escorted humanitarian aid convoys and were bodyguards for VIPs,” said another lieutenant colonel on Kryvonos’s staff and a special forces soldier himself, who would give only his first name, Yaroslav. He started his career as an airborne soldier before being assigned to Spetsnaz units. 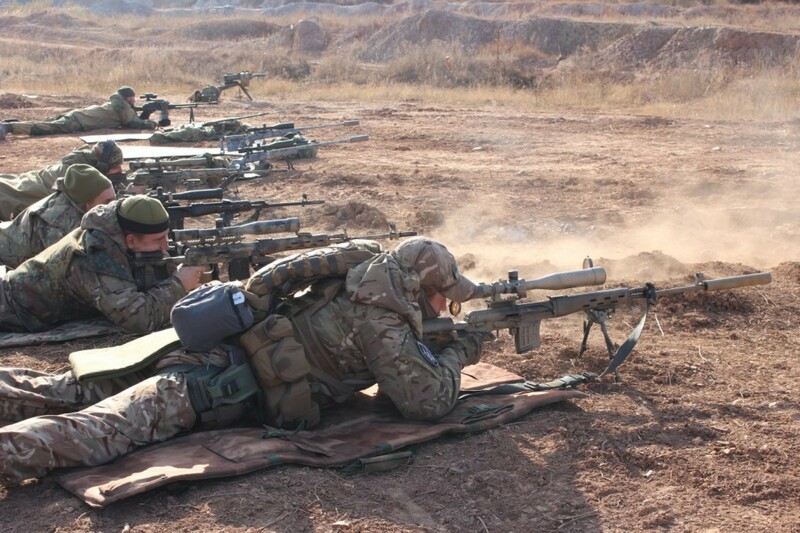 Now, after fighting against the well-equipped separatists and spending a peacekeeping tour with U.S. troops in Kosovo in 2013, Yaroslav said that for Ukraine’s special forces to modernize, they must adopt a command model based off the United States’ Special Operations Command, or SOCOM. “It is the only way we can be effectively used,” he said, explaining that without a dedicated command for special forces, Spetsnaz units are seen as adjuncts instead of assets to the generals who are responsible for Ukraine’s ground forces. Though the Spetsnaz were treated as ad-hoc infantry units and supplemental forces for floundering front-line troops, Yaroslav added that some Spetsnaz forces were employed properly during the months prior to the first cease-fire agreements in late 2014. Spetsnaz teams, he said, were instrumental in deep reconnaissance missions into separatist-held territory and the recovery of Ukrainian pilots that were lost behind enemy lines after their aircraft was shot down in the summer of 2014. For now, however, with little ability to change the strategic situation on the front, special forces units such as the 3rd Spetsnaz Regiment are in a sort of purgatory, manning observation posts as they wait for the next phase of their war. The 3rd Spetsnaz Regiment The 3rd Spetsnaz Regiment’s forward camp is an abandoned coal mining machine factory approximately 100 kilometers from the separatist-held city of Donetsk and houses 200 Spetsnaz troops and their various vehicles. Here, there is little evidence to discern the elite status of the troops, aside from the iconic patch emblazoned with a black bat that the soldiers wear on their right shoulders. The regiment’s uniforms, like most Ukrainian army units, are a smattering of camouflage patterns from different countries that have either been donated or purchased on the soldiers’ own dime. And while they might officially be “special forces,” their weapons and equipment are anything but advanced. The only difference between the 3rd’s rifles and machine guns and a standard Ukrainian infantry unit’s is the presence of a few scopes and sound-muffling suppressors. The regiment’s snipers, on the other hand, use converted Russian hunting rifles and weathered Soviet semiautomatic Dragubovs. In addition to 3rd’s mostly aging weapons, there are only 17 night-vision devices for the entire regiment — a shortage that is especially vexing for special forces units that are often meant to operate under the cover of darkness. According to Kryvonos, 80 percent of Ukraine’s special forces lack night-vision capabilities — a shortcoming that the United States has attempted to help rectify by pumping in more than $250 million in “non-lethal” aid to the Ukrainian military since March 2014. The aid has included night-vision equipment, counter-artillery radar, body armor and some vehicles. The only non-lethal aid the 3rd has received is seven aging ’90s-era Humvees with plastic doors and windows. The vehicles are rarely used and have been plagued with mechanical issues. High maintenance costs and the fact they have virtually no armor has relegated them to infrequent supply runs. The regiment, instead, relies on cheap and quick SUVs to move troops to the front. [How the war in eastern Ukraine grinds on, night after night] “If the U.S. is going to send us equipment, don’t send us second-hand stuff,” said one soldier, who requested anonymity to speak critically of the vehicles. According to Andrei, the second-hand aid has a demoralizing effect, but he said other equipment issues need to be addressed before better vehicles and possibly even defensive weapons — something many U.S lawmakers have lobbied for — are sent to his forces. “We need boots, uniforms and modern body armor,” Andrei said, referring to the constant supply of necessities required to sustain his troops. Andrei added that this sentiment extends to some of the attempts the United States and other Western countries have made to train Ukrainian troops, including their special forces. One of the biggest issues that Ukraine’s special forces face, Andrei noted, was the fact that there is no institution dedicated solely to training special forces in Ukraine. This is a point echoed by various Spetsnaz officers, including Kryvonos. “It should be a requirement,” Andrei stressed. The last facility dedicated to training Spetsnaz troops was shuttered in 2013 as the Ukrainian military shrank, according to Andrei. Now, he said, there is no assessment and selection process for new soldiers. Instead, regiments like the 3rd receive troops that have gone through basic infantry schools. Then upon arriving to the unit, they have to be retrained. This training period, coupled with each soldier’s allotted vacation time, leaves many soldiers on year-long mobilization orders with only seven months of operational time in the regiment. “It puts strain on the unit,” Andrei said, adding that with a high turnover rate and no institutionalized training regime, it’s difficult to pass on lessons learned, including some of the past training administered by U.S. forces. 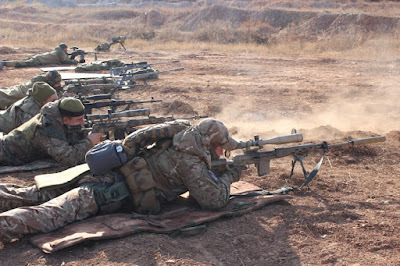 In 2014, the 3rd Regiment sent about 100 soldiers to receive medical training from U.S. Green Berets in Lviv, Ukraine, and since has sent troops to various European countries to receive tactical training. In October, Andrei, along with small number of other Ukrainian special forces troops, spent 10 days at the U.S. Army’s training facility in Grafenwoehr, Germany, learning about reconnaissance operational planning. Andrei added that the American training was based on a planning model that relied on a number of technological advantages that American forces often take for granted, including secure communications and satellite imagery — something sorely lacking in the Ukrainian military and its 3rd Regiment. While the regiment has a number of encrypted radios, made by the American company Harris, their signal strength allows them to be easily identified by Russian electronic warfare equipment and subsequently targeted, according to Andrei. In the coming weeks, the United States is set to begin the next phase of its train-and-equip program for Ukrainian Ministry of Defense troops, including their special forces, in a continued attempt to rectify many of the deficits so acutely felt by the Ukrainian military and members of the 3rd Spetsnaz Regiment. The program, known as the Joint Multi-National Training Group Ukraine, is designed to assess the state of the Ukrainian military as well as give the Ukrainians an ability to train their own forces. Until recently, however, the program had focused only on troops that fell under the Ministry of Interior, namely National Guard units. According to U.S. Army Col. Ted Donnelly, one of the key advisers to the training group, the coming program is sequential, and if it goes well will give Ukrainian special forces tools to create the training programs they need. But with rampant institutional problems within the Ukrainian military, it is uncertain how effective the training and future equipment will be. “We’ve given a lot of assistance to Ukraine,” Donnelly said.